Jaisalmer, the “swarna-nagri” surrounded by sand dunes is situated in the great Thar, lying deep in the state and well known for its richness in culture and heritage, Rajasthan. The city of Jaisalmer promises much to a traveler, with the hospitality of its people standing out. 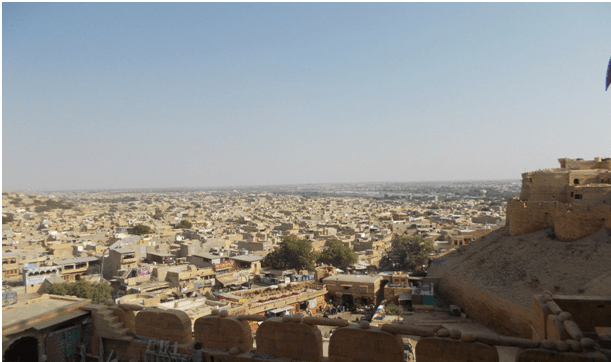 Although one may find Jaisalmer to be like any other city of Rajasthan, having marvellous palaces, vibrant culture and amazing food, yet the city has a got a different vibe to it. Inspite of being the first visit, it felt like home away from home. People of the city are very welcoming, signifying the true aroma of this beautiful place. The city of Jaisalmer was founded by Maharawal Jaisal Dev during 1156 A.D. The city is important in many ways, firstly because of its great strategic importance to the nation and secondly as a city that’s heaven for travellers who come to visit the place across the seven seas, just to experience the exuberant experience which city and its people have to offer. There are many tourist attractions in this beautiful city such as the Fort, Patwa ki haweli, Gadsisar Lake, Kuldhara and many more. The journey begins along the largest canal in Asia, the Indira Gandhi Canal, running more than 600 km and spanning across the lands of Punjab and Haryana, acting as the major source for irrigation in the desert state and supporting livelihood of a large amount of population. Of the many tourist attractions, the most important or let’s just say the one that stands out (Okay! Okay! Or probably the one that fascinated me the most) is the “Sonar Quila” or the Jaisalmer fort. It’s a living fort, with actual population living inside it being one of the largest fortifications in the world. It is truly an incredible heritage site. Inside the fortification lies the museum, which once used to be the home of the Royal family, and today encaptures the history of its glorious past. 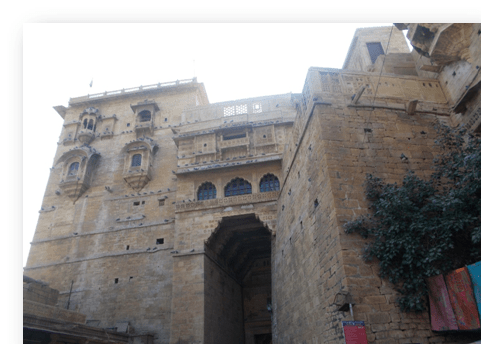 In addition to providing abode and livelihood to small craftsmen, this fort is an exuberant piece of architecture, which captivates the tourists with its beauty and charisma. 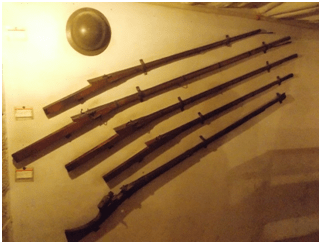 The museum inside the fort is home to objects of historical importance ranging from the weapons, sculptures, royal attires to other significant Royal articles. The Armory, the Sculpture room, the Queen’s room, the King’s room, the music room provide a glimpse to the visitors of the life of Royals in the ancient times. 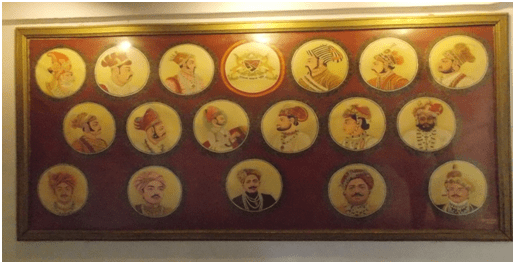 This gives a brief account of the culture and what significance it holds for the people who still live inside the fort, carrying out their trade of art, completely depending on the tourism sector. The city of Jaisalmer enchants the visitors with its rich and vibrant heritage. The place which shows what the city is all about is the local market with abundance of products ranging from rich handicrafts to leather made shoes and bags. 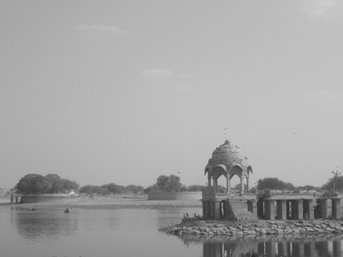 The marketplace further leads to another site of cultural importance, namely “Patwa Haweli” which basically belonged to Patwa’s who left the city of Jaisalmer in order to expand their trade. 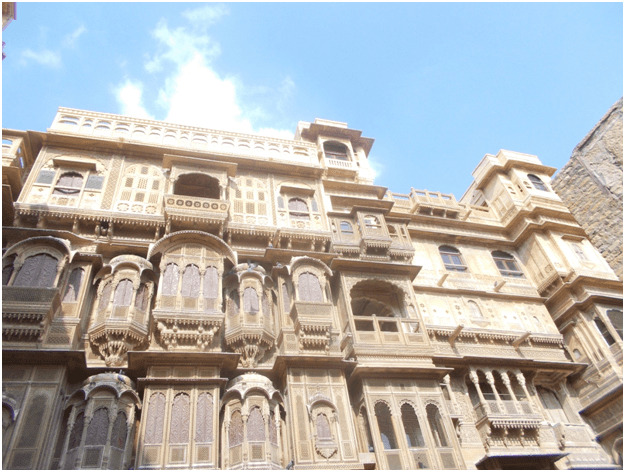 This Haweli faces the glorious fort, glistening with the colors of gold which in turn signifies the charm of the city. Moving on, one can visit the once flooded with water but now dried, an artificial lake i.e. “The Gadsisar Lake”, which has carried along with it the tradition of the ancient ages. 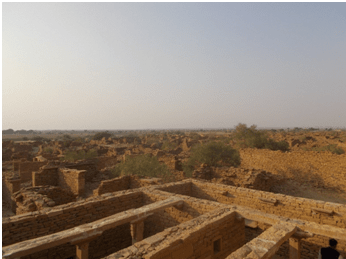 Further the haunted-village of Kuldhara is situated at a distance of 20 km, which is considered to be uninhabited for more than 200 years. 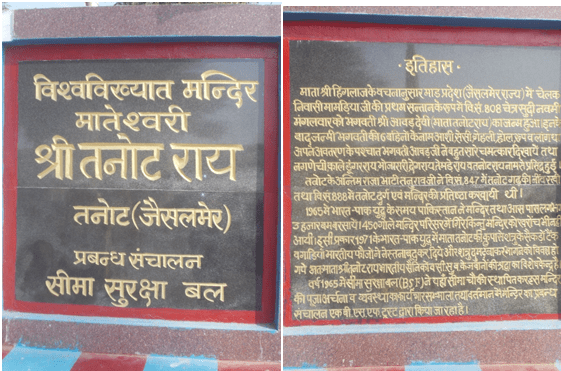 The story of the village is that the village was inhabited by Paliwal Brahmins. One Salim Singh fell for the daughter of the village-chief and he threatened the village people with grave consequences, if they did not conform to his demands. So instead of adhering to his wishes, the people of some 85 villages deserted the village in a single night, leaving behind a curse that no one will ever be able to settle again. Ever since the village of Kuldhara remains barren till date. 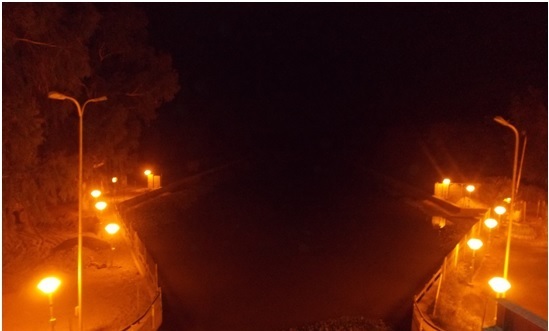 The site is now managed by the Archeological Survey of India, though no paranormal experience, still one gets chills through the spine on the account of witnessing such a site. The Barabagh, literally meaning ‘Big Garden’, a garden complex consisting of cenotaphs of the Maharajas of Jaisalmer is a great example of the architectural brilliance of the ancient times. Situated at some 120 km distance from the city of Jaisalmer, the ‘Tanot Rai Mandir’ has some amazing and astonishing facts attached to it. The temple is managed by the Border Security Force of the Indian Armed Forces. 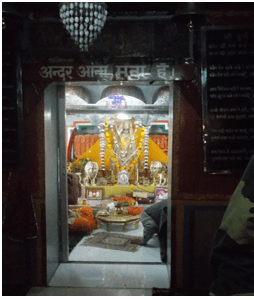 It is said that, during the 1965 Indo-Pak war, the enemies threw around 3000 explosives in and around the area of the temple, nearly 450 bombs fell in the temple’s campus but not a single bomb exploded. Since then, the temple is under the management of the BSF. The temple is situated very close to the Indian border, and is a tourist attraction for many people who come from far-flung areas to seek the holy blessings. 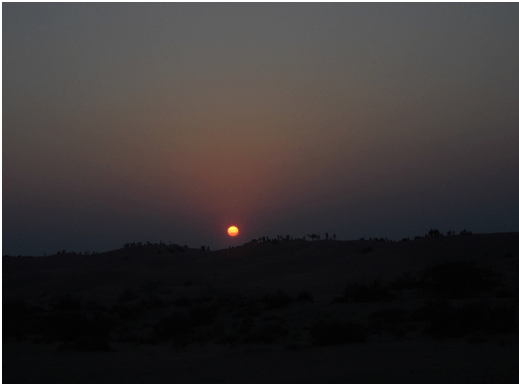 One of the another important and most happening places in Jaisalmer is the Sam Sand Dunes. 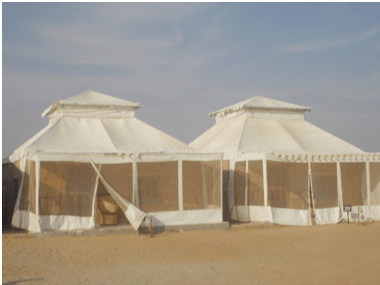 The area rising to a height of 50 m is composed of sand hills and the best way to enjoy the stay in Sam Sand Dunes is to rent rooms in any of the many available desert camps which provide fascinating desert safaris and camel rides. This adds further charisma to an unforgettable experience in Jaisalmer. In the evening one can enjoy the folk music and dance performances along with the exquisite cuisine that is served. Staying in the Sam sand dunes is worth every penny one spends. 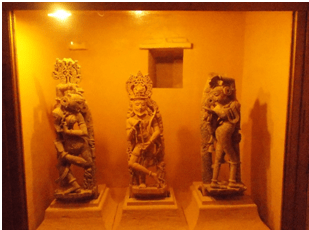 Other than these famous sites, the city of Jaisalmer has a lot to offer like the Akal Fossils Park and fossilized tree trunks can be found in abundance of various lengths. Along with the structural importance, the city of Jaisalmer is also famous for its royal cuisine and handicraft works. 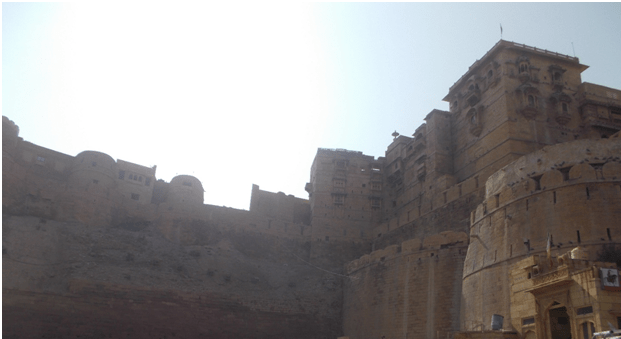 The city of Jaisalmer is an epitome of heritage and exuberance, and one can fall in love with the city at the first sight because of its rich heritage and glorious past. 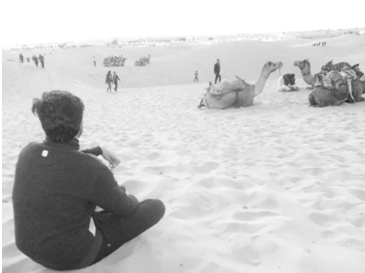 Overall, Jaisalmer is not a place to be seen merely with eyes but it demands to be felt and felt deep within one’s heart because of the mysteries and secrets it beholds within itself. One of the most beautiful places in the world, the city of Jaisalmer makes one fall in love with itself with an exotic and sumptuous cuisine, along with various tourist attractions. 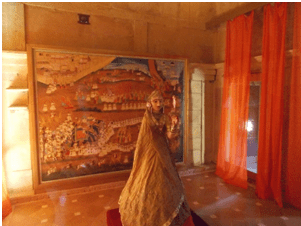 It is a place that defines the true Rajasthan to anyone who has not been to Rajasthan ever before. It expresses how culturally rich the city is and what all it has to offer to a traveler. One has to just keep his arms open to the unimaginable treasure this city has to offer. Belonging to the Pink City, Abhishek Rathore is a vibrant, dedicated and hard-working guy who has interests in varied fields ranging from Technology,Photography, Dancing, Sports, Sketching and Painting, Music, Writing and not to be missed out, Travelling. He has been to various parts of India, Himachal Pradesh, Punjab, Uttarakhand, Tamil Nadu, Kerela, Karnataka, Goa, Maharashtra, Gujarat and is currently pursuing his Law degree, B.A. LLB. (Hons.) at National Law University, Assam. While on his way to chasing his dream of becoming an IAS Officer, he lives with his heart and arms wide open to life, ready to face new challenges and experiences that life has to offer. According to Abhishek, there’s nothing that cannot be achieved if one works with sheer determination, dedication, perseverance and passion. For him, having passion means a lot, because it is that passion, which can drive one towards achieving the targets one has set for one-self. 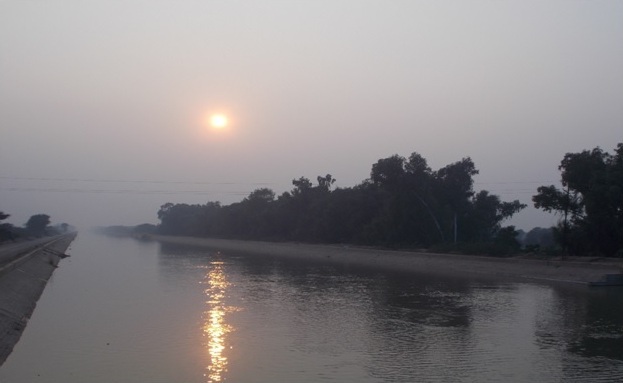 Living in the city of Guwahati, the “gateway to North-East”, Abhishek plans on travelling to the beautiful North-Eastern part of the country and become aware of the culture and all other experience that this region has to offer. An ardent lover of football, and a devoted fan of Manchester United Football Club, dreams of visiting the glorious Old Trafford, which is home to his favorite team. A person with a lot to offer to the society. The Splendour of Tulips in Kashmir!